Hands shaking, heart thundering, meet the royal mess! 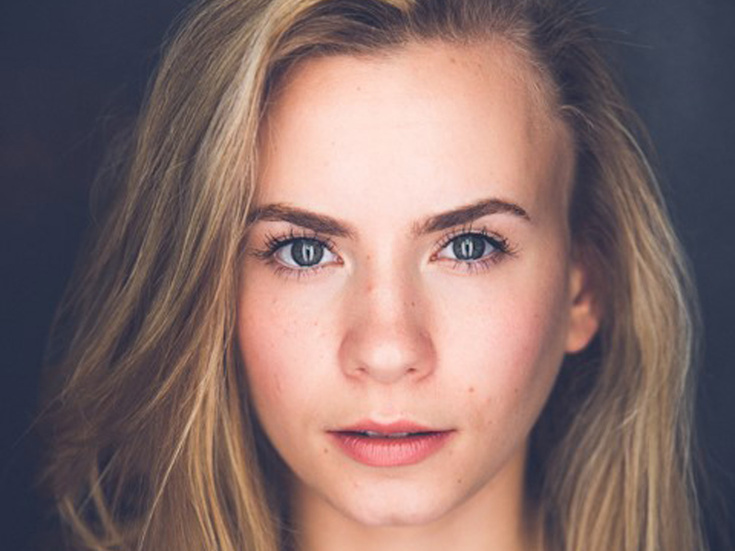 Lila Coogan will star in the central role of Anya in the national tour of Broadway's hit musical Anastasia. Directed by Tony winner Darko Tresnjak, the traveling production of Anastasia will kick off on October 9 in Schenectady, NY, before continuing on to cities all across the country. Coogan's stage credits include Mary Poppins on Broadway and Hairspray at Syracuse Stage. On the small screen, she appeared on ABC's What Would You Do? with John Quinones. Coogan attended Syracuse University, earning her BFA in Musical Theatre. Joining Coogan in the principal cast will be Stephen Brower (Broadway's Anastasia) as Dmitry, Jason Michael Evans (Passion) as Gleb, Joy Franz (Company) as Dowager Empress, Tari Kelly (Groundhog Day) as Countess Lily, Edward Staudenmayer (The Phantom of the Opera) as Vlad and Victoria Amelia Bingham (Annie) as Little Anastasia. The ensemble will feature Brianna Abruzzo, Ronnie S. Bowman Jr., Alison Ewing, Peter Garza, Jeremiah Ginn, Brett-Marco Glauser, Lucy Horton, Mary Illes, Fred Inkley, Kourtney Keitt, Beth Stafford Laird, Mark MacKillop, Kenneth Michael Murray, Taylor Quick, Claire Rathbun, Michael McCorry Rose, Matt Rosell, Sareen Tchekmedyian and Addison Mackynzie Valentino. Inspired by the beloved films, Anastasia transports us from the twilight of the Russian Empire to the euphoria of Paris in the 1920s, as a brave young woman sets out to discover the mystery of her past. Pursued by a ruthless Soviet officer determined to silence her, Anya enlists the aid of a dashing conman and a lovable ex-aristocrat. Together, they embark on an epic adventure to help her find home, love and family. With its opulent settings, dazzling costumes and a soaring score including the song favorites from the hit animated film, “Journey to the Past” and “Once Upon a December,” Anastasia features a score by Tony winners Lynn Ahrens and Stephen Flaherty, a book by Tony winner Terrence McNally and choreography by Peggy Hickey. The musical is currently playing Broadway's Broadhurst Theatre, where it opened in April 2017. To find out when Anastasia is headed to your city, click here.